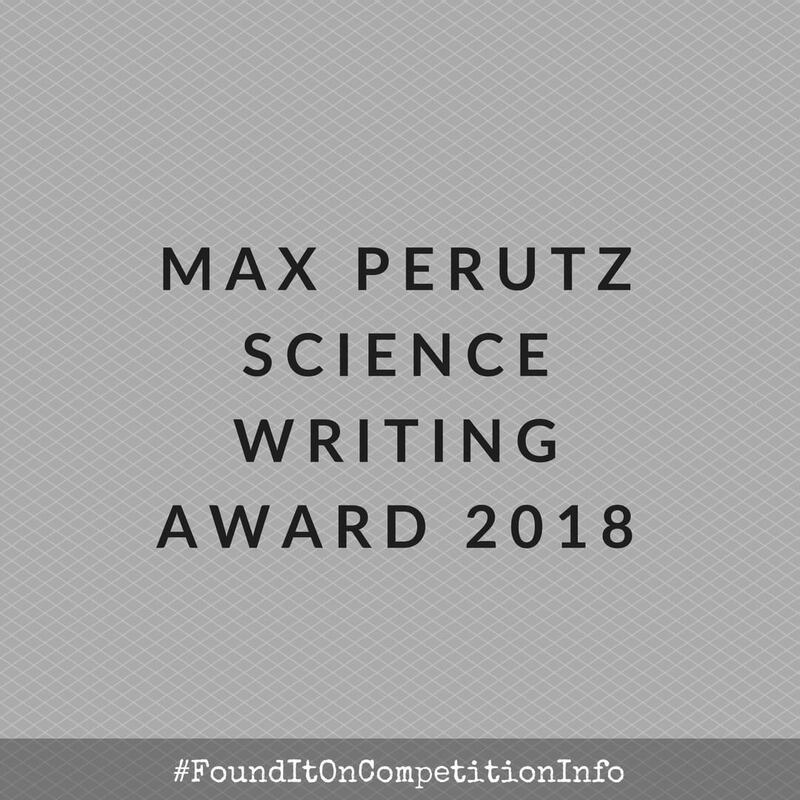 This call for entries is for the 2018 edition of the Max Perutz Science Writing competition. This contest aims to encourage and recognise outstanding written communication among the Medical Research Council (MRC) PhD students. All shortlisted entrants will be invited to a science writing masterclass and the awards ceremony in central London.